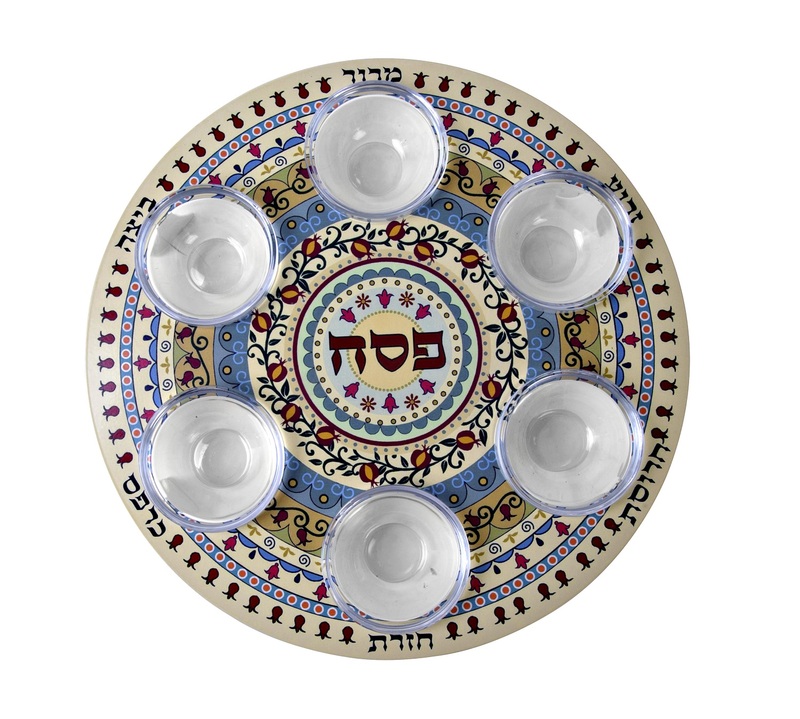 Blue, mustard yellow, off white, with red pomegranates and green leaves incorporated into the patterns, this Seder plate is colorful and tasteful, with bowls for each symbolic food. 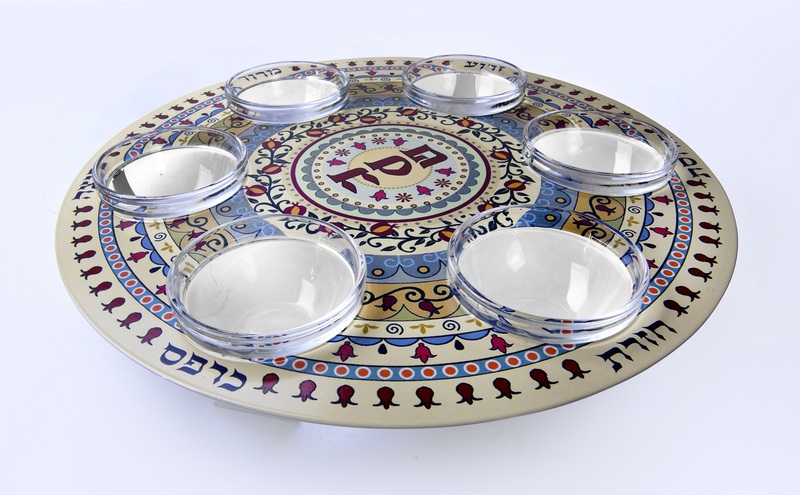 This delightful and colorful Seder plate features bowls for each symbolic Seder food, with the names of said symbolic foods alongside each of the bowls. Colorful and patterned, with pomegranates, it is a lovely choice to beautify your Passover Seder table and give it a special flair and style.